Should I bring food to the IEP meeting? Home » IEP Advice for Parents » Should I bring food to the IEP meeting? I understand you want to be nice. You want to be the “cool parent.” But I still think bringing donuts to an IEP meeting is a bad idea. Here’s why. I was talking with a coworker and she said I should never go to an IEP meeting without donuts. I never even thought about bringing anything. We want your opinion. First of all, it is my understanding (and I could be wrong) but somewhere out there, there’s a group that does IEP workshops or something, and their advice is to always bring food. Coffee, donuts, bagels, whatever. That information spread like wildfire, all across chat rooms, list-servs, and Facebook groups. And it is why many parents feel obligated to do so. I’m glad that you phrased it as “we want your opinion” instead of “do I need to bring donuts?” So here we go, my opinion. According to the law and Procedural Safeguards, parents are an equal member of the IEP team. In my opinion, bringing in food or gifts of any kind changes that. Are they bringing you any food or gifts? No, they’re not. See how that’s uneven? It also makes the setting informal. Again, my opinion. While I want the tone to be comfortable, this is very much a formality, not a party. I am here to discuss my child’s goals, education and future, not have a continental breakfast. This is a business meeting. Sure, it’s not unusual to have donuts or snacks at a business meeting. But when that happens, it is usually catered. I think it’s a bit sexist. Yeah, now you think I’ve totally lost my marbles. But think about it. Only moms ever want to bring donuts. I have never once seen a dad do this. To me, it will help perpetuate that we’re just moms and not equal members of the IEP team. Arguments for bringing food to IEP meetings. A few group members have said that they will continue to bring food. Their reasoning is that they usually have afternoon meetings and that they want the team to be focused. On one hand, yeah, ok, I kind of get it. On the other hand, not my job to bring snacks. If you know you have a late meeting, you prepare. And I’d just try for a different meeting time. 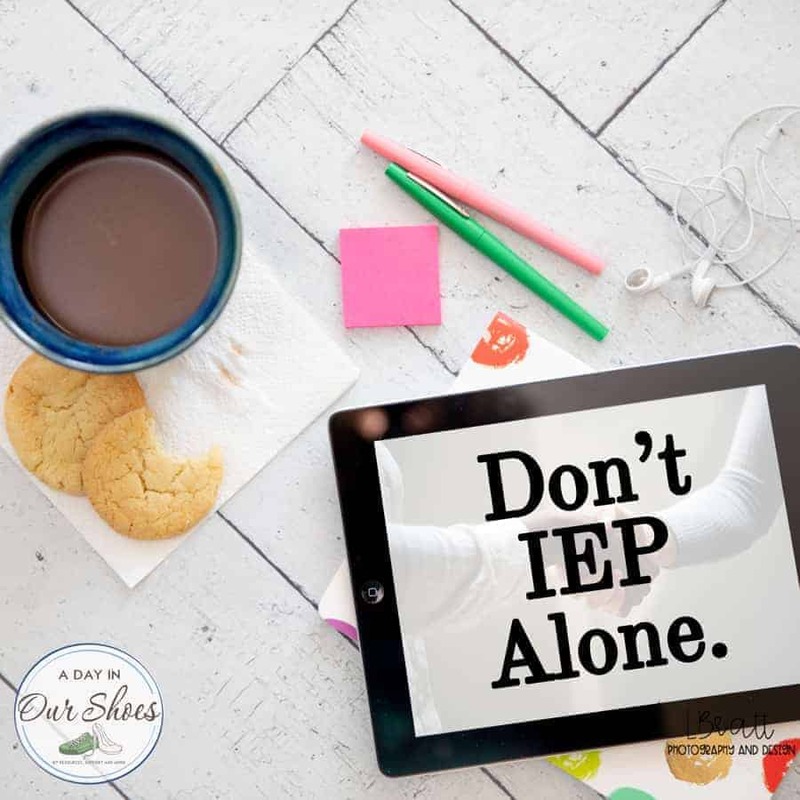 Gifts for your IEP team. All of this being said, I have a holiday gift giving list that is tremendously long. I gift holiday gifts to dozens of people. All the teachers, aides, therapists, everyone. Heck I even give gifts to our trash collectors, mail carriers, newspaper carriers and delivery people. There is a time and a place for gift giving, and for being thankful for your team. The IEP meeting isn’t it. This meeting isn’t about them, it’s about your child. Of course, this is for my family and my setting and why I don’t do it. I suppose if you’ve been a jerk for the past few months and just realized that you’ve been an unreasonable jerk, then perhaps a peace offering isn’t a bad idea either. So there you go. Sorry you asked? This post was originally published in 2012 but was recently updated. « Why every Disability Parent must get involved in lobbying and advocacy.